We design lifestyles. We are redefining home design for you to enjoy a beautiful way of life. We offer stylish completely pre-designed customized room settings that fit your home. Our packages are all-inclusive with furniture, decorative accessories and lifestyle amenities (Art work, electronics, tableware, kitchen accessories, bedding and bathroom accessories). If you are selling your home, you can benefit from our turnkey design services to showcase your home the same way real estate developers sell their units with a model home. In today's real estate market, it is the best way to get a return in investment and sell fast. Designing a house to sell will definitely allow you to sell at a higher price by enhancing your competitive edge. Please contact us to make your house a model home! 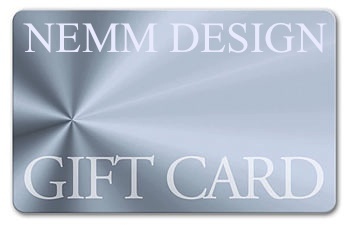 ...just email me at info@nemmdesign.com and I will be happy to coach you! We offer solutions, so just do it! Ask the Designer.The consultation includes a Look Board! Design fees are set per room. Once design fees are received, they are non refundable and it will take about four to six weeks to complete the interior design project which will be shipped out to you in a box. 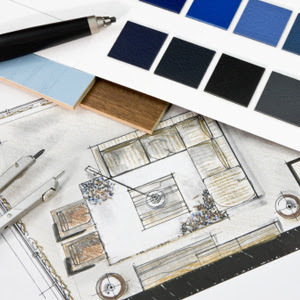 A Specification List showing suggestions for furniture, accessories, fabric, paint, wallpaper, tile, wood, carpet, hardware samples when applicable as well as pricing and complete resources for where to buy the recommended materials. We will be available for consultation and step- by- step instructions in order to make the project a reality. A new space is a new life...Live well.